My main aim for starting this blog was to keep a record of all the new things I’ve tried to grow each year in my allotment and greenhouse. 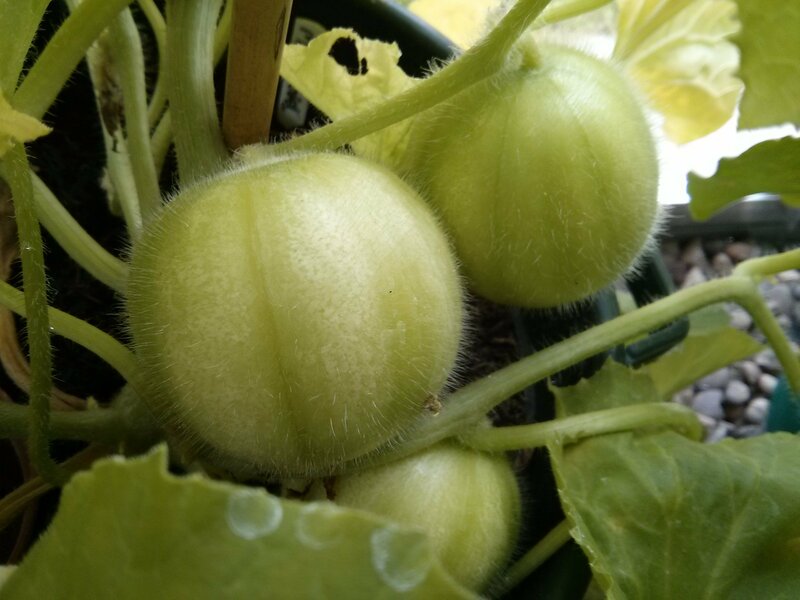 So I thought I’d start with one of new varieties I’ve tried in my greenhouse this year; Cucumber – Mandurian Round. Not your typical looking Cucumber…! Possibly the most striking thing about the Mandurian Round is that it actually looks nothing like your typical Cucumber and instead more closely resembles a tennis ball! 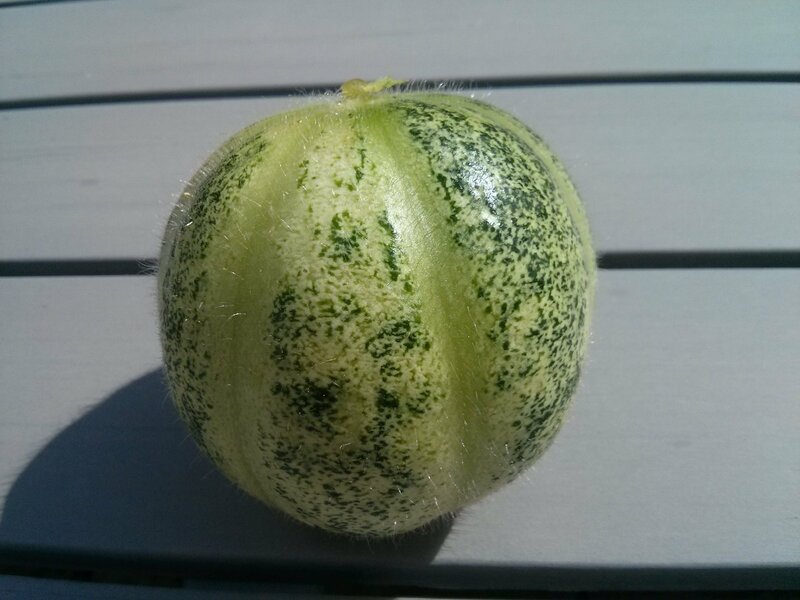 Incidentally, despite being always described as a Cucumber it’s also actually part of the Melon family Cucumis Melo. It is roughly spherical with pale green variegated skin and covered in a thin layer of fuzz which can easily be wiped off. Oh so sweet and crunchy flesh….. Despite it’s appearance and mistaken identity, it’s actually the taste that really sets it apart. Without exaggeration, it’s amongst the sweetest and crunchiest cucumbers that I’ve ever grown or tasted. In addition to using them liberally in salads, they’re so sweet that I’ve taken to eating them alone as a snack between meals! The skin is also very thin and almost free of any of that typical cucumber bitterness. In terms of growing them, they’re really no different from growing any other cucumber appreciating the sun and warmth of the greenhouse. Although, as an extra bonus they don’t seem to be particularly vine-like and so appear to be quite compact. Indeed, most of the fruit on mine have been produced very close to the central stem. I got seeds last year from Pennards Plants and haven’t seem them anywhere else since. Overall, I’d definitely recommend trying them as something different for their lovely sweet taste alone. Anyone else tried Mandurian Round before, or what other cucumbers do you grow on your plot and would recommend? Next Post Best of 2015. Wow, I’m not really a fan of cucumbers but these make me want to give them another chance! Good to hear, let me know how you find them if you do try them! They sound nice. I’ve been growing lemon cucumbers the last couple of years. They’re a similar shape to yours but bright yellow. Sadly they don’t taste of lemon. Still tastier than regular cucumbers though. I love growing varieties you can’t buy in the shops. Completely agree, having the freedom to grow varieties and crops that you can’t buy is one of the best things about growing your own. 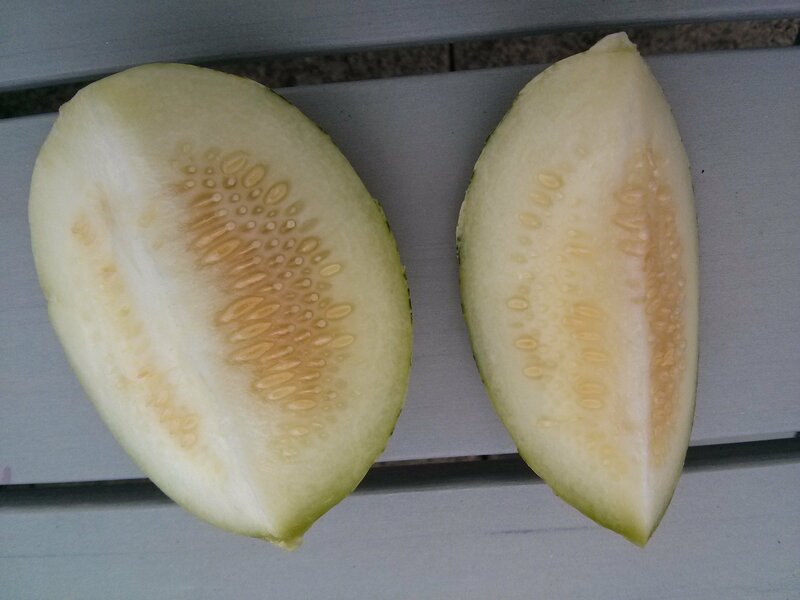 Lemon Cucumbers sound good, I’ve grown Boothby’s Blonde before which is yellow but still a regular cucumber shape. Hi, I absolutely love cucumbers and melons so these look amazing. I will with out a doubt be having a go at growing the Mandurian round next year. I’ve never seen these before.